All Middleburg homes currently listed for sale in Middleburg as of 04/25/2019 are shown below. You can change the search criteria at any time by pressing the 'Change Search' button below. If you have any questions or you would like more information about any Middleburg homes for sale or other Middleburg real estate, please contact us and one of our knowledgeable Middleburg REALTORS® would be pleased to assist you. 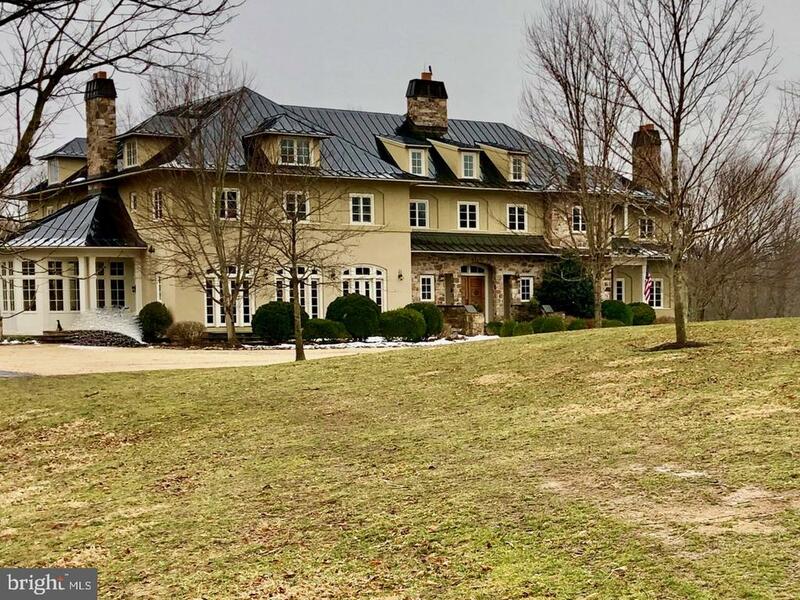 "Magnificent stone manor, beautifully restored with superb craftsmanship & exquisite taste.Truly one of the finest estates in northern Virginia offering 100+ acres of verdant pastures, sweeping lawns & brilliant gardens. Flagstone terraces surround the heated pool, a fabulous stone courtyard stable, caretakers apartments, riding ring and an incomparable setting." "Magnificent stone manor, beautifully restored with superb craftsmanship & exquisite taste.Truly one of the finest estates in northern Virginia offering 100+ acres of verdant pastures, sweeping lawns & brilliant gardens. Flagstone terraces surround the heated pool, a fabulous stone courtyard stable, caretakers apartments, riding ring and an incomparable setting. Additional 227acres avail.Easement." "Magnificent stone manor, beautifully restored with superb craftsmanship & exquisite taste.Truly one of the finest estates in northern Virginia offering 100+ acres of verdant pastures, sweeping lawns & brilliant gardens. Flagstone terraces surround the heated pool, a fabulous stone courtyard stable, caretakers apartments, riding ring and an incomparable setting. Additional 227 acres avail. Property is in Easement." "Magnificent custom stone and stucco gated European estate, mins to Middleburg. Spectacularly renovated and expanded manor house, ~10k sqft., 4BR, 5FB, 2HB. Exquisite custom finishes, elegant dining, lvg and fmly rooms, library, bar, media room, sun room, office/apt, open floor plan for entertaining. English gardens, pool/spa. Stunning guest house, 2k sq ft, 12 stall barn, ring, cottage. SEE VIDEO"
"Country living at its finest! When the current owners purchased Stonyhurst, the house was considerably run down. Commissioning the Washington D.C. firm of Donald Lococo Architects, they lovingly and carefully returned it to its original splendor while at the same time modernizing the underlying infrastructure. In the process, the renovation garnered two awards from the American Institute of Architecture. Meanwhile, Rosemary R. Howe Interiors, also of Washington D.C., was brought in to faithfully redesign the inside in such a way as to retain the character of this lovely old house while infusing it with twenty first century accoutrements. 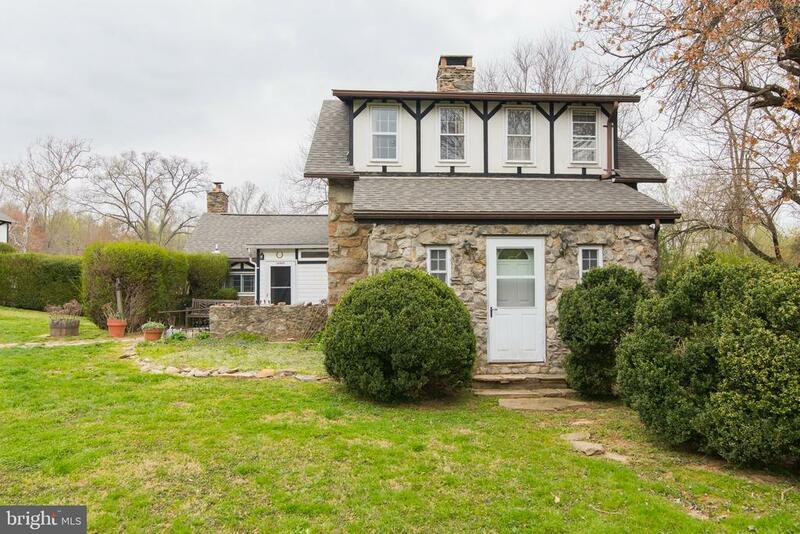 What we see today is a delightful American Colonial Revival Country Farmhouse, in pristine condition, centered on a large parcel of rolling land within a much sought after part of Virginia, yet within easy reach of the nation~s capital. It is ideally suited for both equestrian pursuits and outdoors activities, as a principal residence or weekend escape. Middleburg is the fox hunting capital of America. The town itself dates to 1787 when it was founded as a staging point for weary travelers on the old trading route (now Route 50) between Winchester and the port of Alexandria." 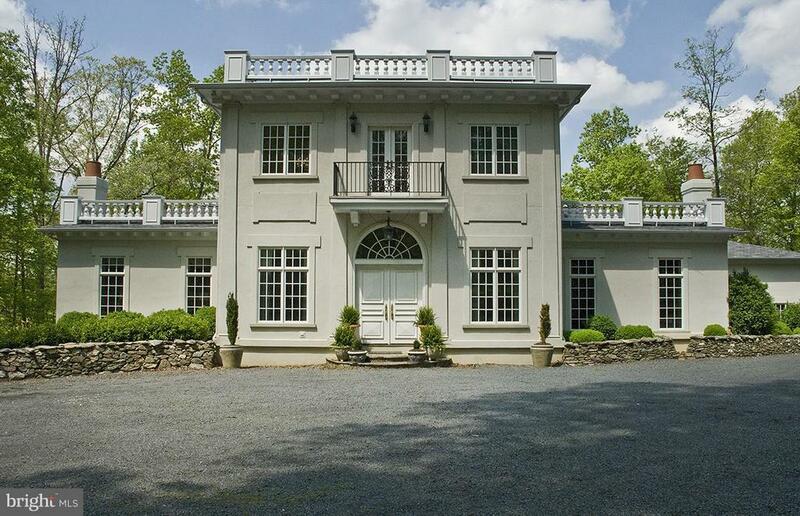 "Elegant Country Estate on 102.46 private acres. 2 tax tracts, the house and 44.96 acres and 57.5 acres that has 2 approved drain field sites. 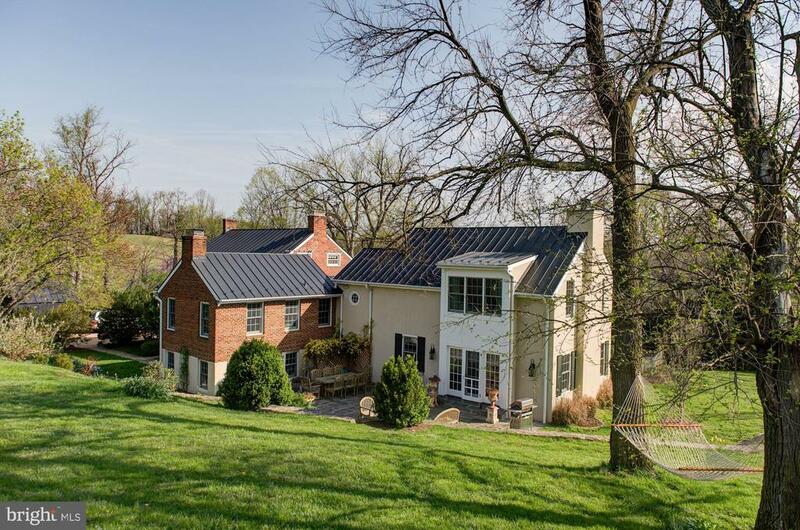 The modern farmhouse is designed to take full advantage of the fabulous views of the Bull Run Mountains. Open floor plan is perfect for entertaining. Luxury master suite with fireplace is on the main level. Upstairs is the guest suite with full bath, 2 bedrooms that share the balcony and the hall bath. Lovely playroom at the end of the hall with built-in day bed and shelves, plus a secret stairway to the downstairs den. The cozy den with vaulted ceiling and exposed beams has a stone fireplace. The dining room has a wall of windows and stone fire place. The kitchen and keeping room blend together to make a great spot to gather with a stone fireplace, table space, and seating area. Butlers pantry with extra dishwasher, wet bar, ice maker and drawer refrigerators. Kitchen with island has a gas range and oven, plus a wall oven." 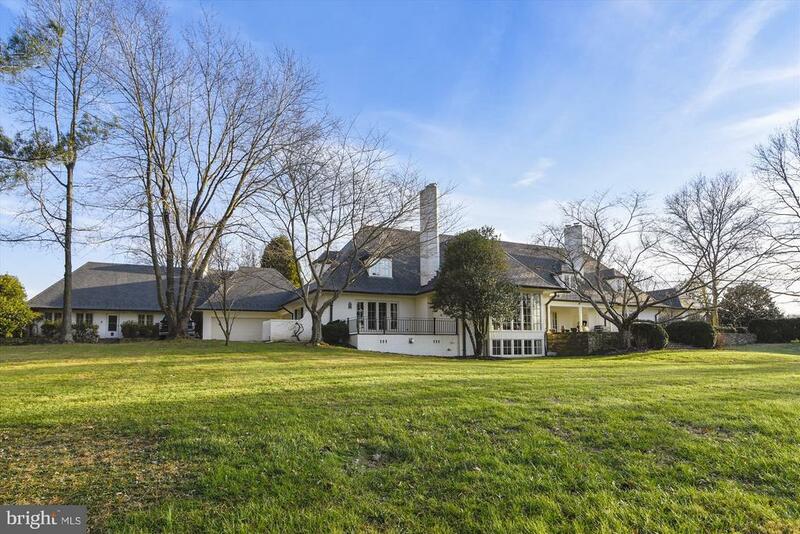 "~Spring Glade~, Prime Middleburg location, surrounded by large tracts. French Country home, circa 1982, with renovation in 1999 and 2017. Brick construction, slate roof. 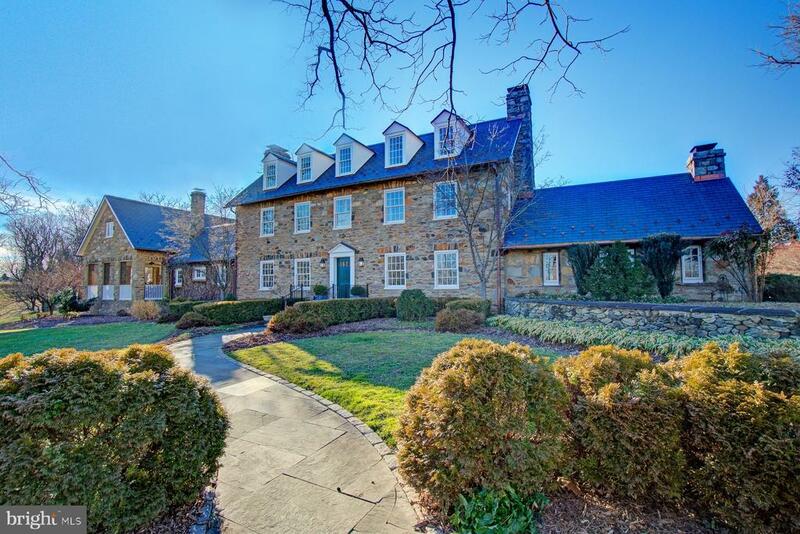 4 Bedrooms, 5 full baths and 2 half baths, 5 fireplaces, hardwood floors, flagstone terrace. Beautiful drive to hilltop stetting overlooking pond, lake and mountains. Improvements include pool, 2-car garage, 2 bedroom guest house and apartment. Lovely boxwood gardens. Kitchen allowance to be provided." "Mayapple Farm, purist delight. Original portion of house built in 1790 in Preston City, CT. House was dismantled and rebuilt at current site. Detail of work is museum quality. 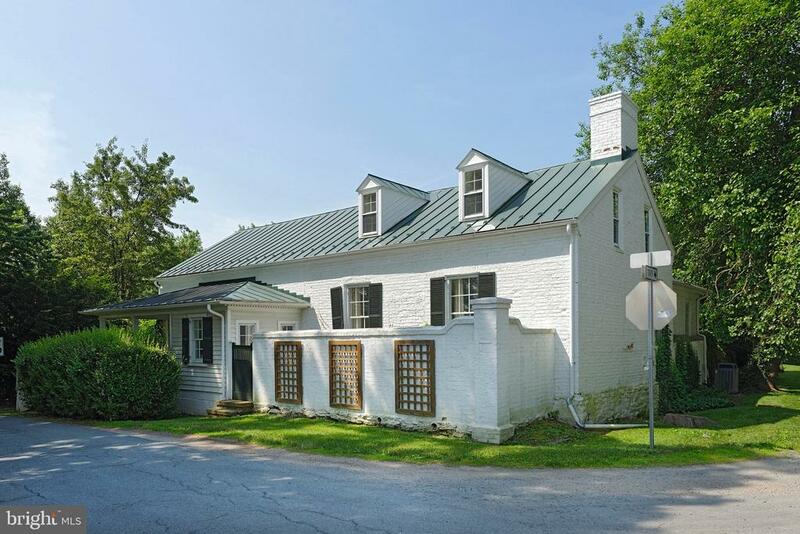 Log wing moved to site from western VA circa 1830, 4 BR, 4 full BA, 2 half BA, 9 FP, detached 2-car garage. Historic stone bank barn and log shed moved from Leesburg, VA. Private, minutes from town. Frontage on Goose Creek." 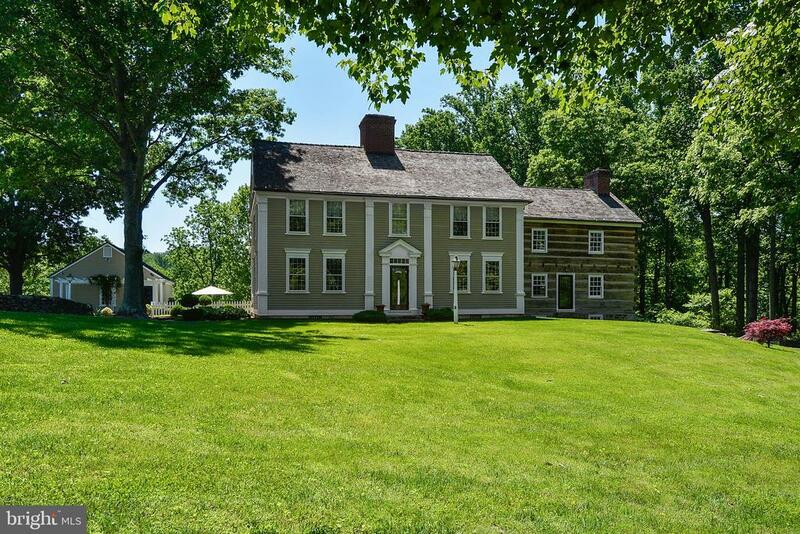 "Elegant Country Estate on 44 private acres. 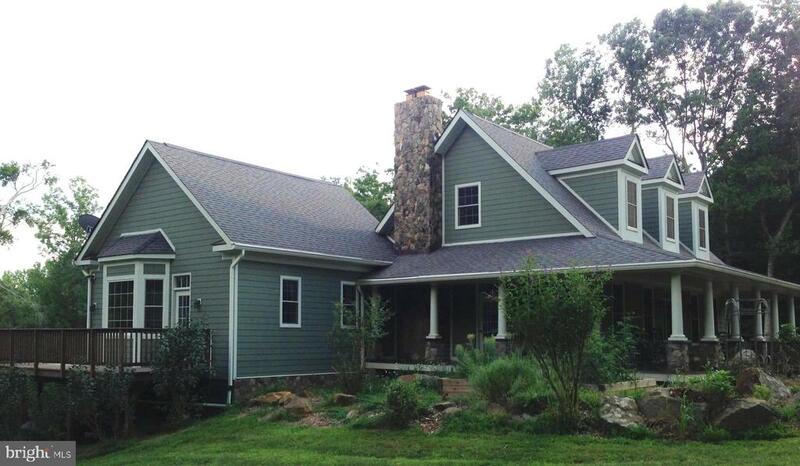 The modern farmhouse is designed to take full advantage of the fabulous views of the Bull Run Mountains. Open floor plan is perfect for entertaining. Luxury master suite with fireplace is on the main level. Upstairs is the guest suite with full bath, 2 bedrooms that share the balcony and the hall bath. Lovely playroom at the end of the hall with built-in day bed and shelves, plus a secret stairway to the downstairs den. The cozy den with vaulted ceiling and exposed beams has a stone fireplace. The dining room has a wall of windows and stone fire place. The kitchen and keeping room blend together to make a great spot to gather with a stone fireplace, table space, and seating area. Butlers pantry with extra dishwasher, wet bar, ice maker and drawer refrigerators. Kitchen with island has a gas range and oven, plus a wall oven." "Game Creek is a remarkable property located within a private enclave just minutes from town. Stone & stucco manor house w/ 1st level master suite, 7 additional bedrooms, 5 stone fireplaces, beautiful gardens, terraces, salt water pool, cabana, carriage house & stable w 2 paddocks. Lovely finishes throughout & sweeping lawn to private trails to Goose Creek. 31 acres- Private, elegant & convenient." "Southern Living 2004 House of Year Plans w improvements. Guest house w 1 1/2 BA. Greenhouse. Extensive landscaping. 30 acres east side of Middleburg. Orange County Hunt. Too many features to list. Outstanding views across a very private valley.No Drive by. Private property once off Champe Ford Road. 1/2 mile driveway. Horses Cattle livestock allowed. W/guest house there are 5 BR, 5FB, 5 half Baths"
"Exquisite home for indoor and outdoor living and entertaining with French doors, from most rooms, opening to a central terrace. Grand rooms with 12' high ceilings, beautiful moldings and main level master suite with fireplace and lower level exercise room, full bath and steam bath. Mature trees provide a serene settling with nearly 1/4 mile of frontage on Goose Creek. Charming Guest Cottage." 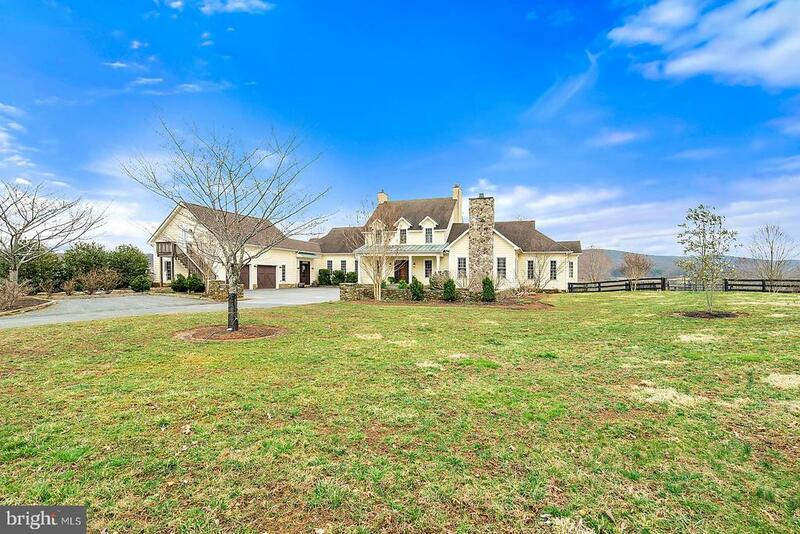 "Custom 10,000 sq ft. Estate on 18ac, in East side of Middleburg. 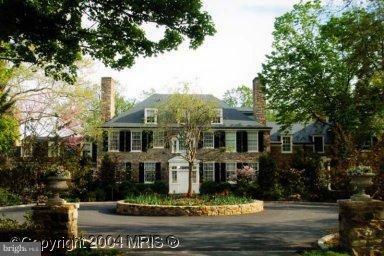 Easy commute w/ access to Rt 50, I-66 & 267 Covered terrace, Free form inground pool, custom woodwork & elegant finishes. Huge KIT w/ 2 dishwashers & multiple prep ctrs. 2 main lvl mstr stes. Fin Bsmt w/ wet bar, theatre, gym. 4 laundry ctrs. New 50 yr roof & whole house generator. Don~t forget to check out Drone Video of property!" "Historic Pot House Corner sits on 11+ acres tucked amongst large farms just minutes from the village of Middleburg. It features a brick main house, a studio building (old potters studio) and FOUR (4) rentable accessory dwellings. Terrific income potential! Current owners have updated every building on the compound. Gorgeous main house has 2 bedrooms, (master BR on the main level) and 2 1/2 Baths. Just off the main house is a covered porch that leads into the fenced English garden with a greenhouse. Just beyond the garden is the studio with two large workspaces and full bath. The main house and studio were the original buildings where potters kilned bricks as far back as the 1700s for homes at nearby Foxcroft School, Huntland and Farmers Delight. Four other unique dwellings include two matching 1 bedroom, 1 bath frame cottages (the North Cottage and South Cottage), and a 1 bedroom, 1 bath barn apartment that is sited above a 3-stall barn with copper roof and tack room. Completing property is the 1 bedroom, 1 bath stucco 'Gate House' with private porch and garden. The property includes 3 fenced paddocks, stonewalls, hedges, sweeping lawns, a small pond and mature trees ...all in a storybook setting." "Unique Offering- Iconic Mosby Spring Farm, owned by the Wiltshire family for a century, eminent Middleburg equestrian family and farm. Charming 1920's barn and stone cottage on 46 fenced acres with 2 separate entrances to Rt 50. Tenant house,2 barn apartments for rental income. Just west of the charming village of Middleburg, VA on Rt 50. In Land Use- Seller not responsible for Roll Back Taxes .Additional 25 acre lot available. No Open Space Easements. Additional 25 Acre lot available." 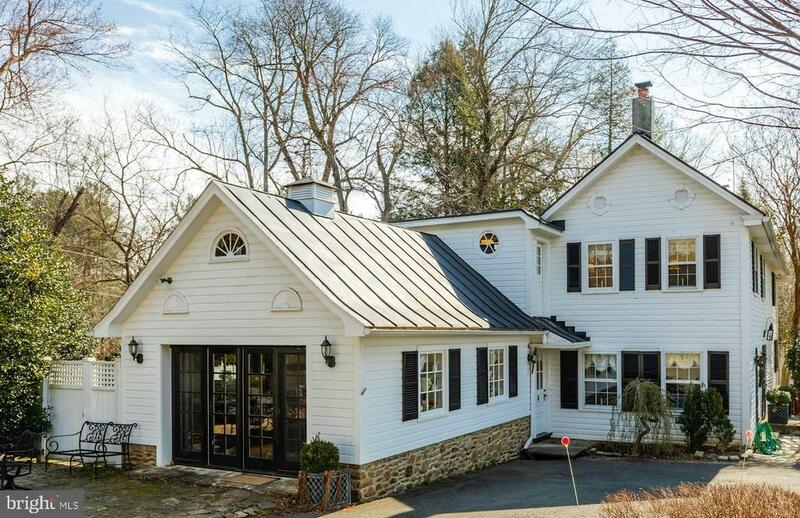 "Belvedere is an impeccably maintained home in one of the Virginia countryside~s most prestigious locations. This classic country manor home offers a beautifully appointed and maintained 5BR/ 5 BA main house plus a charming 1BR/ 1BA carriage house sited on 27 scenic acres. 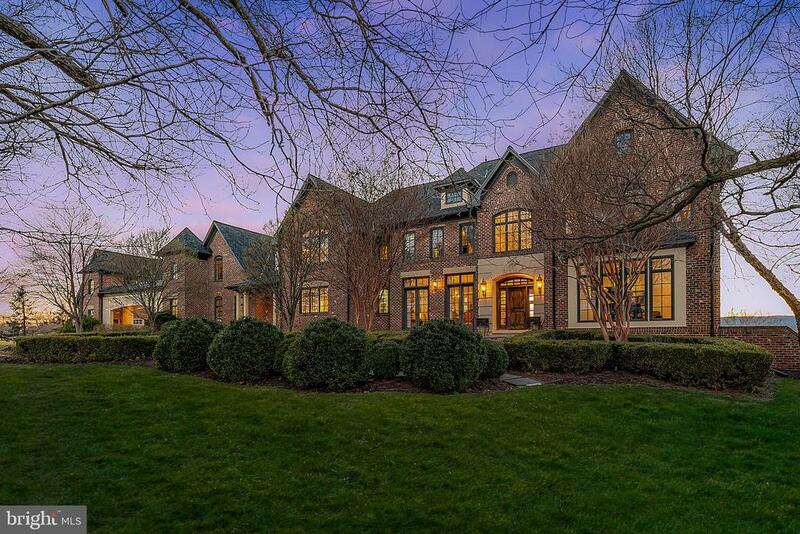 With its chef's dream kitchen, extensive architectural details, such as coffered ceilings, crown molding, and Brazilian cherry flooring, this home will please the most discerning of buyers. This award-winning and impressive home is sure to delight with a floorplan designed with entertaining in mind, outdoor spaces to thrill the nature lover, generously sized living areas and breath-taking million dollar views of the Blue Ridge! Bring your horses! A great opportunity to own a top quality home in a sought after location at a great price." "MIDDLEBURG HOME IN REMOTE SCENIC AREA IS TRULY UNIQUE. PROPERTY IS ON 26. ACRES PLUS ADJOINING 20 ACRE LOT! IN FOREST LAND USE. THE 26 ACRE SITE HAS A 6 BEDROOM SEPTIC SYSTEM BUILT AND THE ABILITY TO BUILD AN ADDITIONAL 4 BEDROOM MANOR HOUSE ON THE SAME PROPERTY MAKING IT PERFECT SPOT FOR A FAMILY COMPOUND. ALTHOUGH REMOTE IT IS LESS THAN 30 MINUTES TO DULLES AIRPORT AND METRORAIL. ACCESS TO HOME IS DOWN A TREE LINED DRIVEWAY LEADING TO A CIRCULAR DRIVEWAY AROUND GARDEN AREAS. A LARGE COVERED, COLUMNED MAHOGANY FRONT PORCH (OVER 520 SF) GREETS YOU AS YOU APPROCH THE HOUSE PROVIDING SCENIC OUTDOOR LIVING SPACE. ENTRY TO THE HOUSE IS THROUGH A LARGE 42 INCH WIDE FRONT DOOR WITH ARCHED LEADED-BEVELED GLASS ON TOP AND SIDES OF SOLID STAINED WOOD DOOR. PROCEED THROUGH TO TWO STORY OPEN FOYER WITH AN ANTIQUE CHANDELIER HIGHLIGHTING THE HICKORY WIDE PLANK FLOORING. THE c1920 CHANDELIER, COMPLIMENTS THE HISTORIC FEEL OF THE PROPERTY, WHICH IS A BLEND OF OLD AND NEW. THE EXISTING HOUSE IS VERY CUSTOM AND UPGRADED BUILT IN 2008 BY CURRENT OWNER. HOUSE HAS MAIN FLOOR MASTER BEDROOM THAT OPENS TO SUNDECK AND IS PERFECT FOR MORNING COFFEE. MASTER INCLUDES AN IN-SUITE MARBLE MASTER BATH AND SOAKING TUB. OPEN LIVING AREA WITH STONE FLOOR INCLUDES FAMILY ROOM WITH FLOOR TO CEILING FIREPLACE, ANTIQUE WOOD BEAM MANTEL WITH CUSTOM SCREEN; EAT IN KITCHEN WITH COFFEE BAR, GRANITE COUNTERTOPS AND STAINLESS STEEL APPLIANCES. THIS OPEN AREA LEADS TO 3-SEASON SUNROOM AND BACK SUN DECK WITH HOT TUB (APPR 2000 SF) OF VIEWS OF THE SURROUNDING HILLS. MAIN FLOOR INCULDES AN OFFICE AND DINING ROOM SEPERATED BY BEVELED GLASS FRENCH POCKET DOORS. FLOORING IS DESTRESSED WIDEPLANK HICKORY TO COMPLEMENT THE ANTIQUE FEEL OF THE HOUSE.THE HOUSE HAS SEVERAL ADDITIONAL ANTIQUE FEATURES INCLUDING 3 EARLY 1900~S CHANDELIERS AND A RARE ACID ETCHED (STAINGLASS) FRENCH ATRUIM DOOR SET UP AS A POCKET DOOR IN FAMILY ROOM.THE SECOND FLOOR LEADS TO A SECOND BEDROOM SUIT WITH LIBRARY LOFT AREA. LOWE"
"RIVER BEND has a new price! Lovely custom built French Provincial House minutes to Middleburg, between Middleburg & Aldie. 4 bedrooms, 4.5 Baths.Generous sized rooms,open airy floor plan, high ceilings; hard wood floors;3 gas fireplaces; Screened in covered porch & large deck, attached 2 Car Garage. Quiet, private setting with pretty views~ 4.4 Acres & frontage & views on Little River. Detached Carriage House ideal for office/studio,& extra garage. Charm, character & quality! Enjoy listening and view of Little River from the expansive deck, or large screened in porch~~Spring is coming-- if you love privacy and enjoy nature~you will want to see this property!" "~Middleburg yet private & peaceful. A stunning post & beam barn conversion & farm lovingly updated.~ Perfect for the outdoor lover, native plantings & fields greet you as you enter Thistlepunk. Upgrades include open kitchen w/ stone bar, new counters, radiant heated bathrm floors, generator, flagstone patios, run in sheds, board fencing, lighting & more. 20+ acres"
"Lovely Mount Harmony ... Nestled in a storybook setting amongst a tree laden parklike setting, this property offers a renovated main residence with period detailing, a two bedroom guest house, and an extraordinary barn over the 5 stall barn all on the historic and scenic byway- Snickersville Turnpike. From the beautifully appointed living room to the elegant gardens and spacious patios, to the party barn, this property beckons entertaining. The beautiful main home features a dazzling gourmet kitchen with custom cherry cabinets, granite countertops, stainless steel appliances including two Viking ovens and a broad center island. The kitchen also offers heated porcelain tile floors and opens to the gracious patio. Adjacent to the kitchen is the keeping room, and handsome great room/dining room with exposed beams and floor-to-ceiling fieldstone mantel highlighting the wood-burning fireplace. An elevator whisks you upstairs where three bedrooms and two full baths await. The master suite includes a dressing room and laundry. The lower level also features a charming floor-to-ceiling fieldstone mantel.A cobblestone path leads to the old smokehouse and darling two bedroom cottage perfect for guests or income. The freshly painted cottage with hardwood floors, offers a generous living and dining area with a wood stove. The fully equipped, updated kitchen adds convenience. But the real showstopper is the three-story barn. Constructed in 2003, the stables are an equestrian lover~s paradise. The barn offers a spacious tack room (with hot/cold water), wide aisles, a wash stall (with hot/cold water + heat lamp), feed room with laundry, plus five extra-large stalls with rubber-matted floors, and a half bathroom. Moreover, it offers an office, studio with kitchen, and expansive area for entertaining ~ for parties, events, weddings, or even a winery. There's a dance floor, high beams, room for storage, a second office that is currently used as a fitness room, and much more. This pict"
"MIDDLEBURG HOME IN REMOTE SCENIC AREA IS TRULY UNIQUE. PROPERTY IS ON 26 ACRES IN FOREST LAND USE. THE 26 ACRE SITE HAS A 6 BEDROOM SEPTIC SYSTEM BUILT AND THE ABILITY TO BUILD AN ADDITIONAL 4 BEDROOM MANOR HOUSE ON THE SAME PROPERTY MAKING IT PERFECT SPOT FOR A FAMILY COMPOUND. ALTHOUGH REMOTE IT IS LESS THAN 30 MINUTES TO DULLES AIRPORT AND METRORAIL. ACCESS TO HOME IS DOWN A TREE LINED DRIVEWAY LEADING TO A CIRCULAR DRIVEWAY AROUND GARDEN AREAS. A LARGE COVERED, COLUMNED MAHOGANY FRONT PORCH (OVER 600 SF) GREETS YOU AS YOU APPROACH THE HOUSE PROVIDING SCENIC OUTDOOR LIVING SPACE. ENTRY TO THE HOUSE IS THROUGH A LARGE 42 INCH WIDE FRONT DOOR WITH ARCHED LEADED-BEVELED GLASS ON TOP AND SIDES OF SOLID STAINED WOOD DOOR. PROCEED THROUGH TO TWO STORY OPEN FOYER WITH AN ANTIQUE CHANDELIER HIGHLIGHTING THE HICKORY WIDE PLANK FLOORING. THE c1920 CHANDELIER, COMPLIMENTS THE HISTORIC FEEL OF THE PROPERTY, WHICH IS A BLEND OF OLD AND NEW. THE EXISTING HOUSE IS VERY CUSTOM AND UPGRADED BUILT IN 2008 BY CURRENT OWNER. HOUSE HAS MAIN FLOOR MASTER BEDROOM THAT OPENS TO SUNDECK (over 1000 SF) AND IS PERFECT FOR MORNING COFFEE. MASTER INCLUDES AN IN-SUITE MARBLE MASTER BATH AND SOAKING TUB. OPEN LIVING AREA WITH STONE FLOOR INCLUDES FAMILY ROOM WITH FLOOR TO CEILING FIREPLACE, ANTIQUE WOOD BEAM MANTEL WITH CUSTOM SCREEN; EAT IN KITCHEN WITH COFFEE BAR, GRANITE COUNTERTOPS AND STAINLESS STEEL APPLIANCES. THIS OPEN AREA LEADS TO 3-SEASON SUNROOM AND BACK SUN DECK WITH HOT TUB (APPR 2000 SF) OF VIEWS OF THE SURROUNDING HILLS. MAIN FLOOR INCULDES AN OFFICE AND DINING ROOM SEPERATED BY BEVELED GLASS FRENCH POCKET DOORS. FLOORING IS DESTRESSED WIDEPLANK HICKORY TO COMPLEMENT THE ANTIQUE FEEL OF THE HOUSE.THE HOUSE HAS SEVERAL ADDITIONAL ANTIQUE FEATURES INCLUDING 3 EARLY 1900~S CHANDELIERS AND A RARE ACID ETCHED (STAINGLASS) FRENCH ATRUIM DOOR SET UP AS A POCKET DOOR IN FAMILY ROOM.THE SECOND FLOOR LEADS TO A SECOND BEDROOM SUIT WITH LIBRARY LOFT AREA. 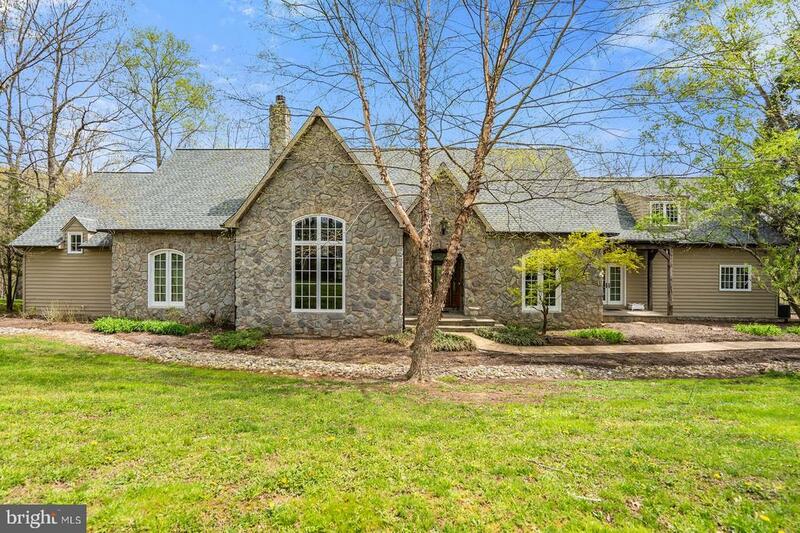 LOWER LEVEL IS A W"
"Build a one-of-a-kind Carrington home on the privacy of a 3 acre homesite in Middleburg! Choose from 9 distinctive floor plans, all with several elevations. This Maple Lane plan has a luxurious first floor owner's suite. Features included in base price: 10' ceilings on main level, hardwoods on first floor, oak staircase, upgraded kitchen cabinets, Profile appliances, granite in all full baths. Options for multi-generational suites, traditional 4 bedrooms upstairs plans, and accessory homes as well. Gorgeous quiet, private homesite in Middleburg yet close to commuter routes, access to Dulles, Route 50, toll road, etc." "Handsome stone, stucco and antique brick farmhouse circa 1820 with recent addition including master suite and great room. Warm and inviting old world charm with wood floors and beautiful mantlepieces with modern updates including whole house generator, built-in bookcases, wet bar with Sub-Zero fridge and Miele dishwasher. 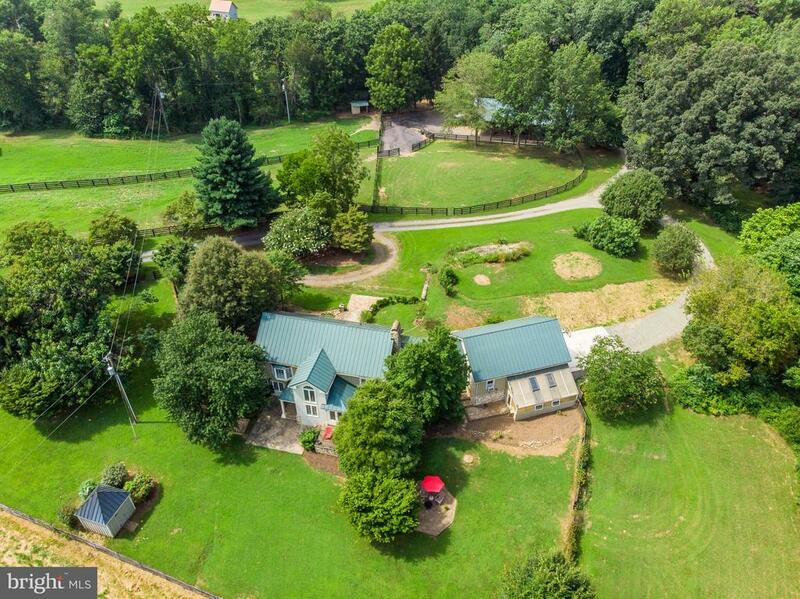 4 Bedroom, 3 full and 2 half bath in quiet and private location on hard to find small acreage nestled among several larger protected properties in sought-after location close to Middleburg. Lovely walled gardens, stone patio and storage/potting shed. Fenced area for dogs including invisible fence. OLREA"